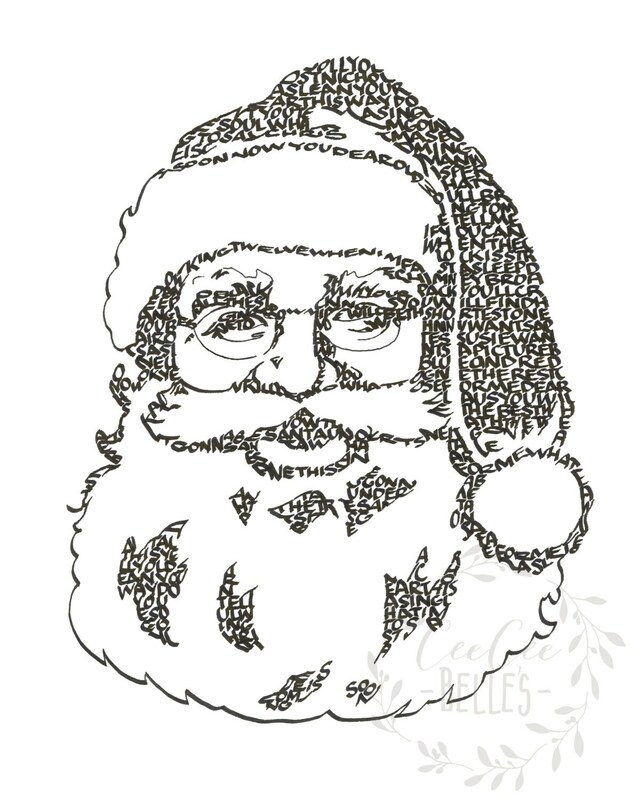 Jolly Old St. Nick - A Limited Edition Print of a Hand Lettered Image Using the Carol "Jolly Old St. Nicholas"
Hey "lean your ear this way"! 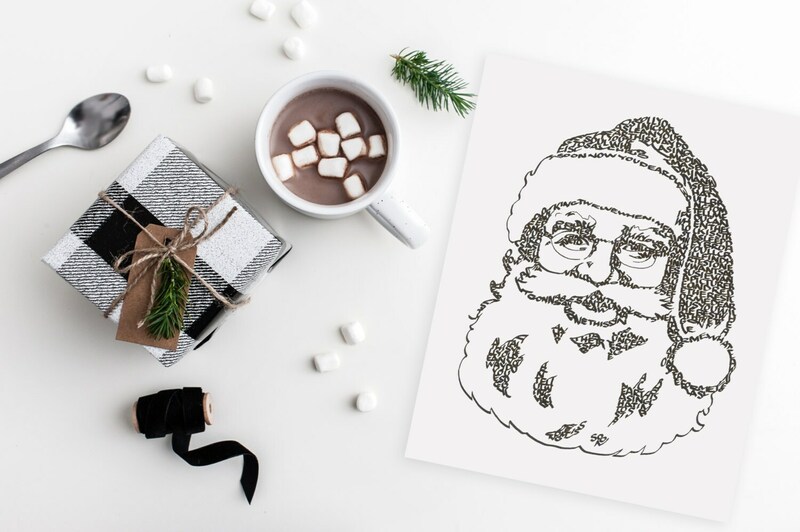 We hope you'll be "nice" and order this print of Santa! The words of the charming Christmas carol, "Jolly Old St. Nicholas" form the famous image of beloved St. Nick. This is a numbered, limited edition 5" x 7" or 8" x 10" print of a hand-lettered image. The print comes on matte, archival cardstock.